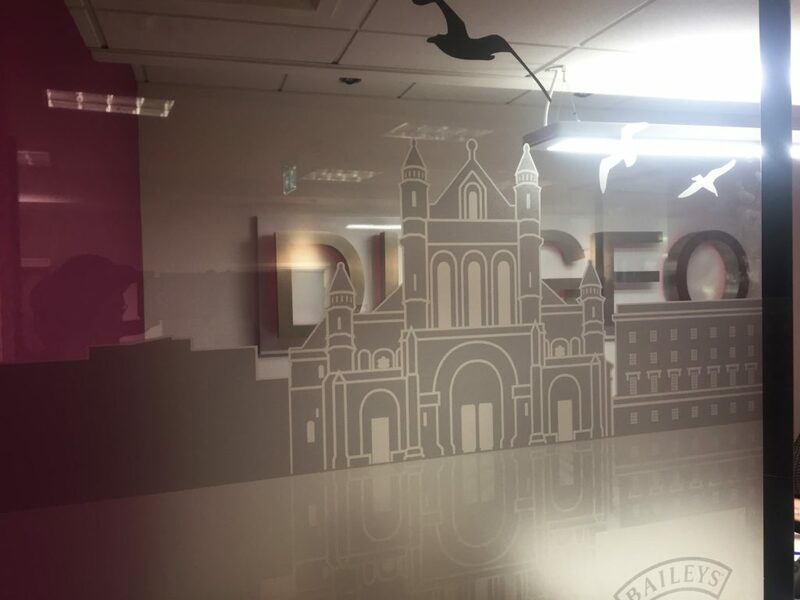 Transforming the Diageo Belfast Office. Drinks giant Diageo opened their new state of the art office located at Capital House on Upper Queen Street, in the heart of Belfast City Centre. 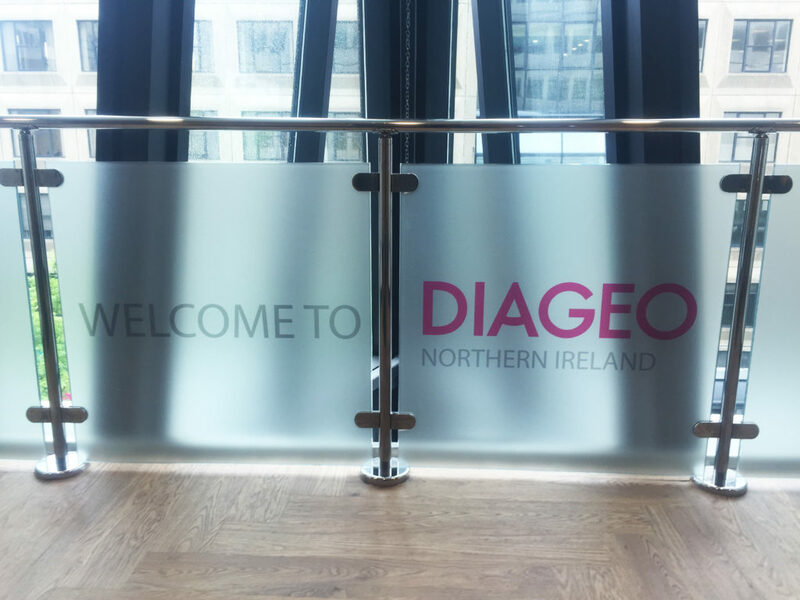 Employing over 300 people throughout Northern Ireland, Diageo’s new offices will host its local sales and marketing teams as well as all of the company’s customer services and credit management team for Ireland. The interior of the office was deliberately designed using glass panel offices to create an open environment amongst staff. 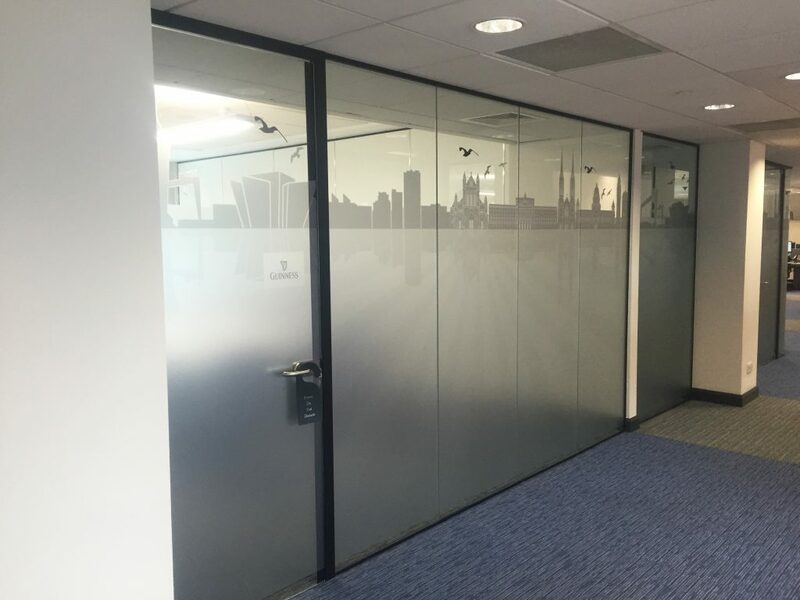 However, in order to create some privacy for meetings and limit distractions whilst working but avoid closing off the spaces entirely, they decided to use a combination of print on each film and cut vinyl on the glass highlighting some iconic images of the Belfast landscape. Alexander Boyd Displays were commissioned by Tag Worldwide, in association with Diageo, to look after the print and installation of all the graphics for this project.